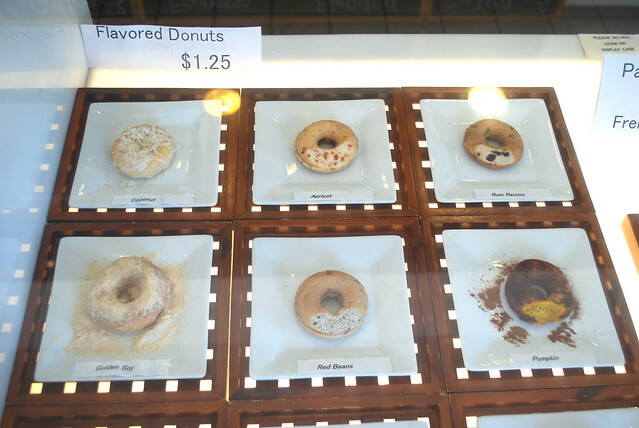 Beach City Baked Donuts is based out of Redondo Beach and specializes in baked doughnuts using soybean flour. The shop is run by a local Japanese couple and offers unique flavors that I haven’t seen elsewhere. 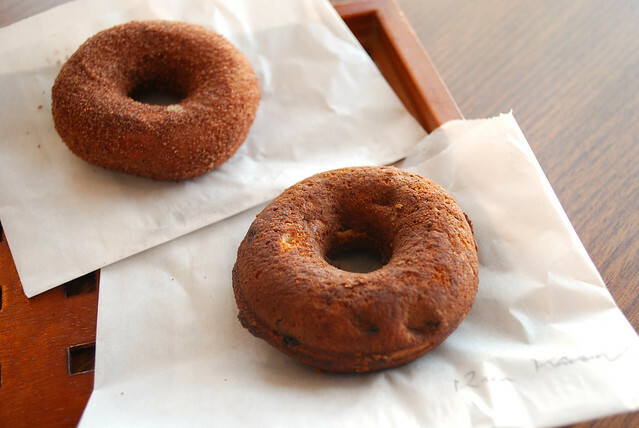 Since this visit was amended to other visits in Los Angeles, I only had the appetite to try two: rum raisin and cinnamon. All donuts were $1.25. There’s a bit of a wait time once you place the order because the donuts were reheated in the back. 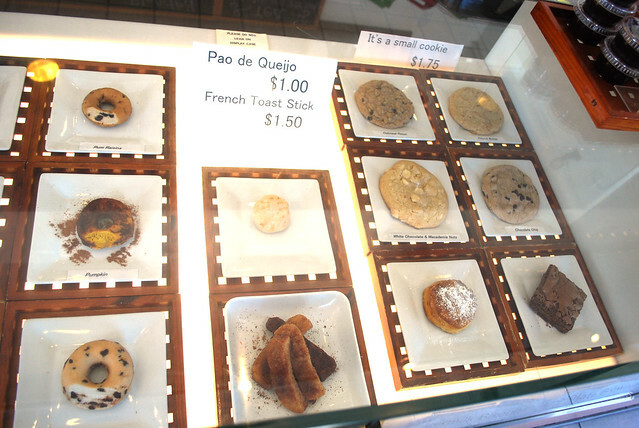 Each doughnut is packaged in a paper sleeve and presented on a small wood tray. Both were less on the sweet side like many Asian pastries and unlike traditional deep-fried doughnuts, they had a cakey texture. The flavors were subtle (I couldn’t really detect rum flavoring) and I found these a bit on the dry side. 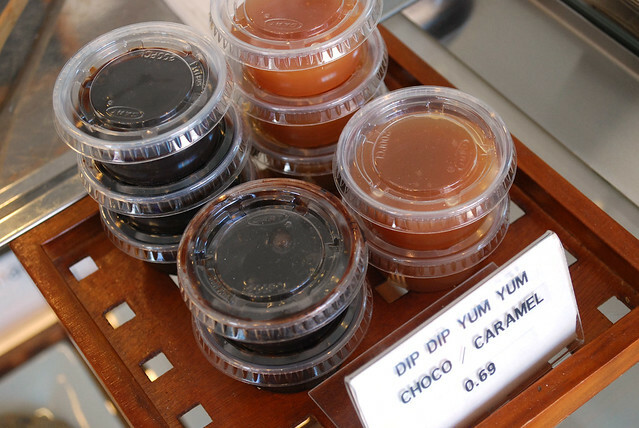 I noticed on the way out that a choco and caramel dipping sauce were sold at the counter for an additional cost. 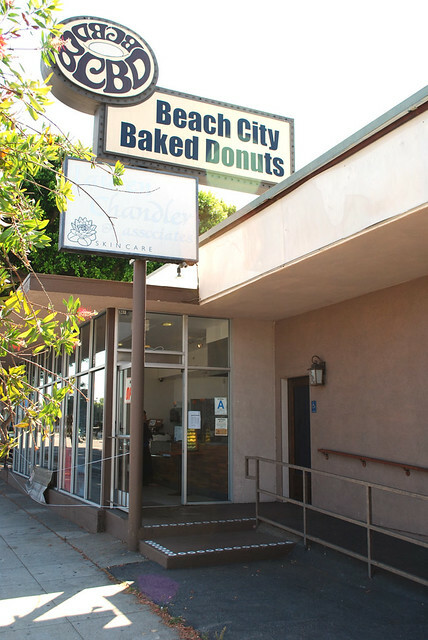 Beach City Baked Donuts sells other baked goods as well as an donut ice cream sandwich. 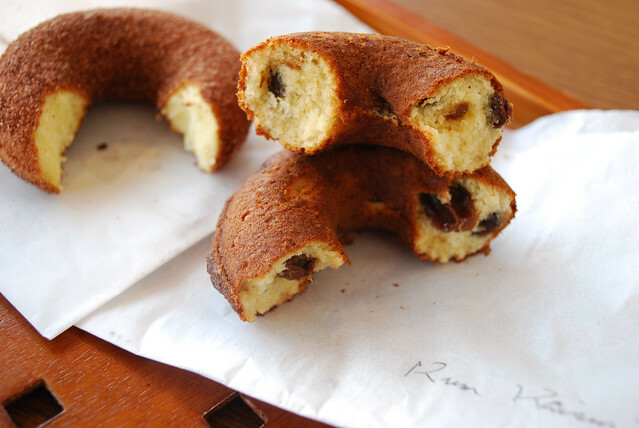 It’s a bit out of the way but an interesting change from the regular doughnut. I would totally try a donut ice cream sandwich!